Lunchbox Heroes – Mama, Can I Lick the Spoon? We are plodding along through the school year, counting our days. Six days until Easter Break. Twenty-eight days until summer. Nineteen days of school left for Christopher. Yes. Nineteen. And his graduation is on the 13th. Where have the years gone? I am really struggling with his imminent graduation. So Michael and I find ourselves trying to cram in as many memories as possible. And I keep trying to make all of his favorite foods. This sort of accidentally became one of his favorites when I made it last week. I mean, he’s a teenage boy, so go figure. But this was a cool new twist on one of his favorite things. 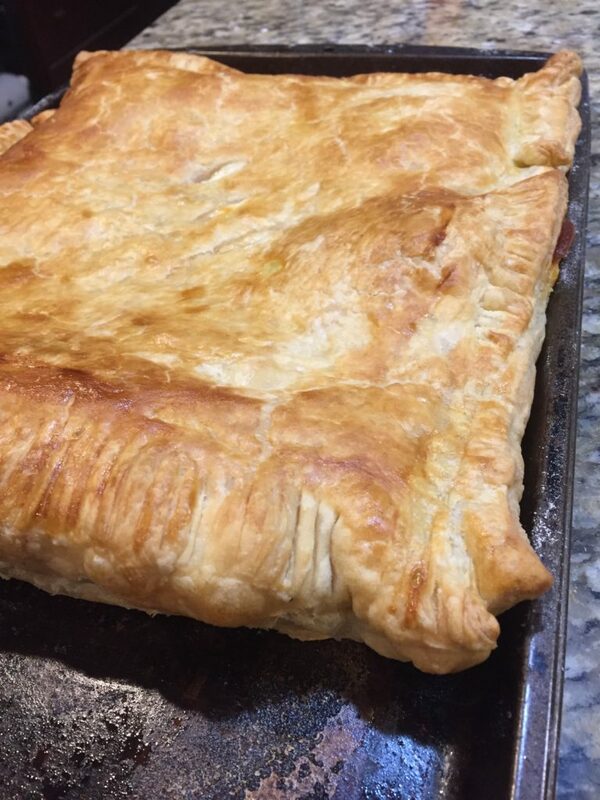 First of all, I’d just like to state one thing: puff pastry is magical. It is! You can use it for so many things. And until you do, it just sits there in your freezer, sound asleep and waiting for you to thaw it out and let it become. The crust for a tart. 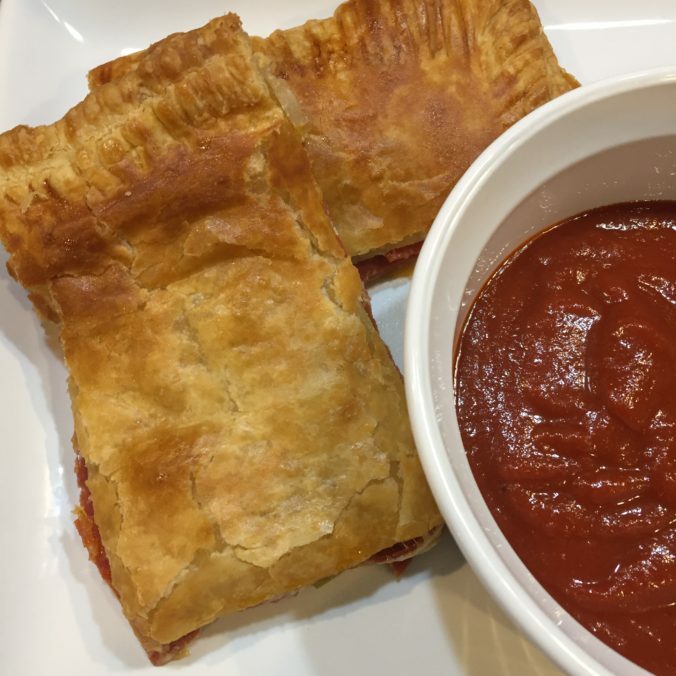 Homemade Hot Pockets. 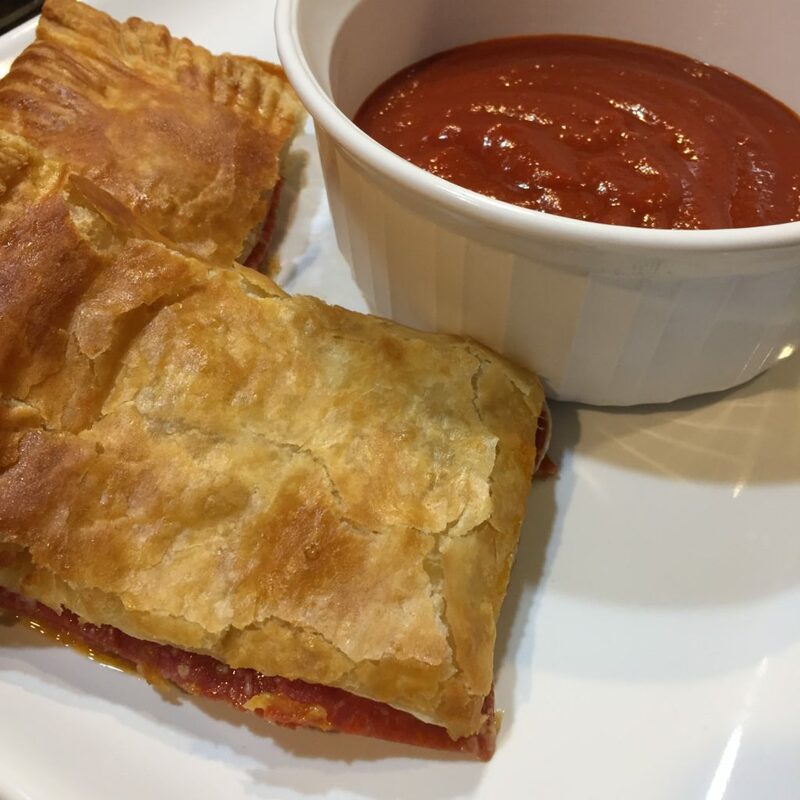 Puff Pastry Pizza. So good! And so easy. 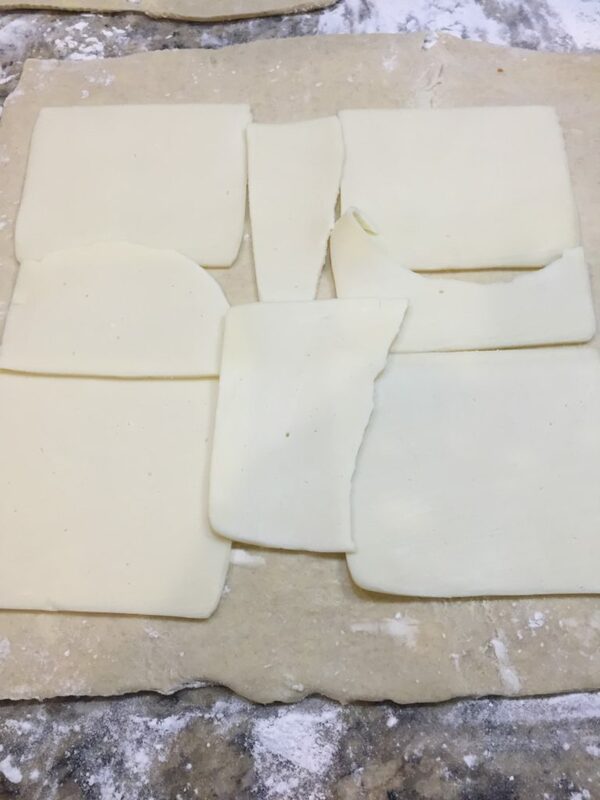 On a lightly-floured surface, unfold two sheets of puff pastry and roll them out into squares – trying to make them roughly the same size. 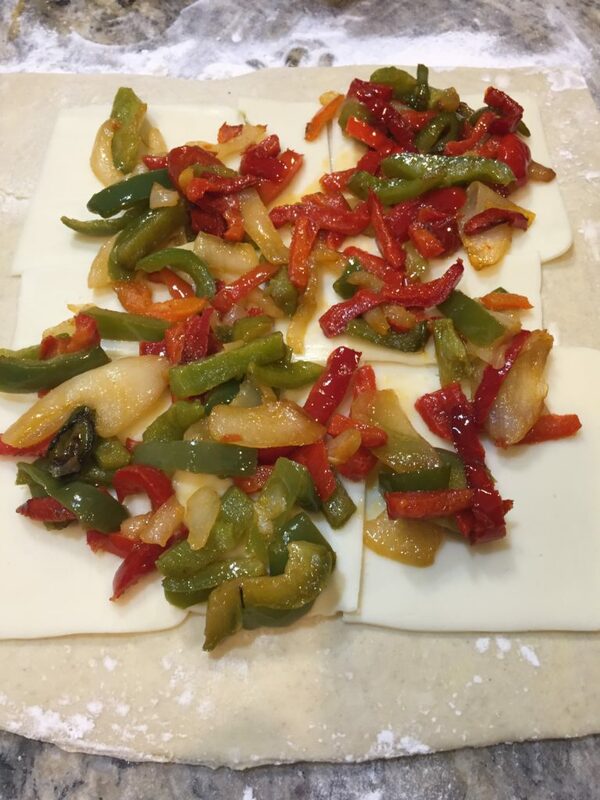 On one of the sheets, lay mozzarella slices, leaving an inch or so around the edges. In a skillet, saute onions and bell peppers until soft. Then spoon them onto the pastry sheet. Next, pile on the pepperoni! 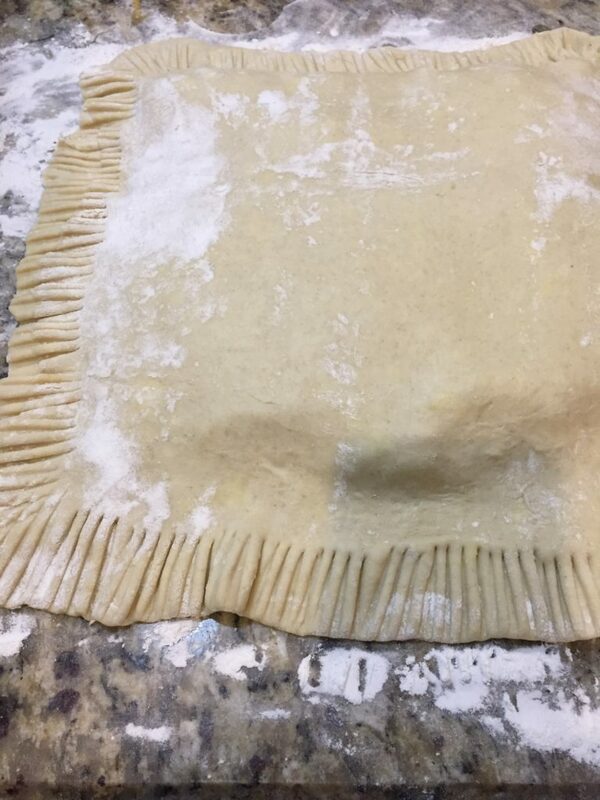 Place the other pastry sheet on top of the other and use a fork to crimp the edges all the way around. Cut a few vent holes in the top and brush the entire surface with an egg wash.
Cut it into slices and serve with marinara – or spaghetti sauce, in my case! Ready for the directions? Here you go! In a skillet, drizzle oil and saute’ the vegetables until soft. Set aside to cool slightly. Prepare a large cookie sheet by either lining with parchment or spraying with cooking spray. 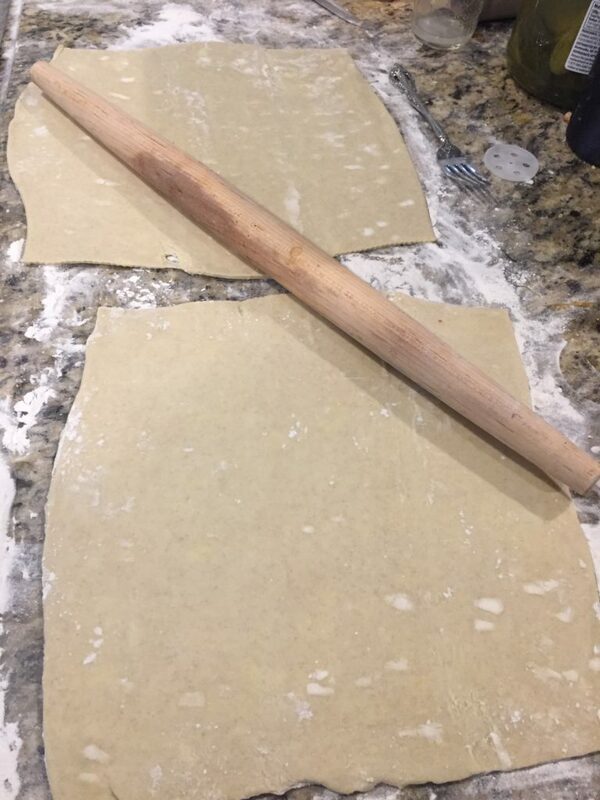 On a lightly-floured surface, use a rolling pin to roll the pastry sheets slightly, making sure they are roughly the same size. On one sheet (this will be the bottom), place slices of cheese, leaving an inch of surface exposed at the edges. On top of the cheese, spread the vegetables. 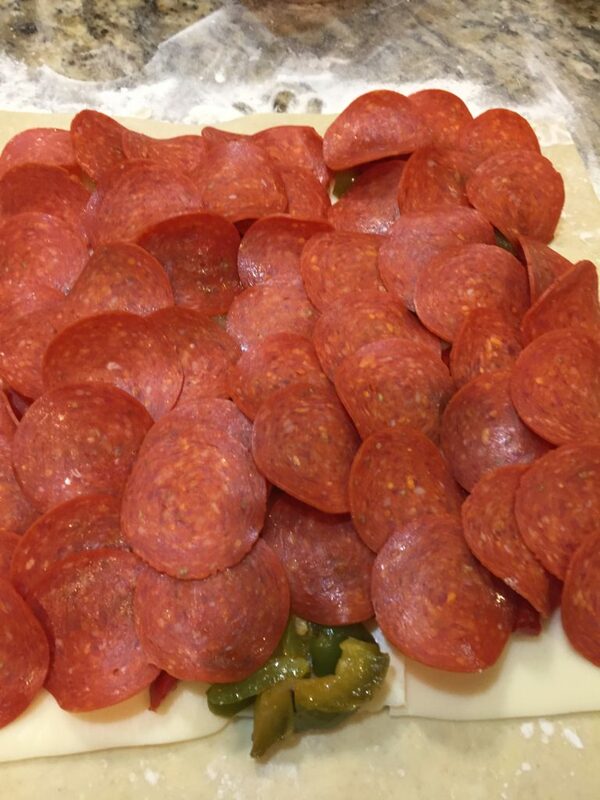 Cover the veggies with slices of pepperoni – as many as you like! 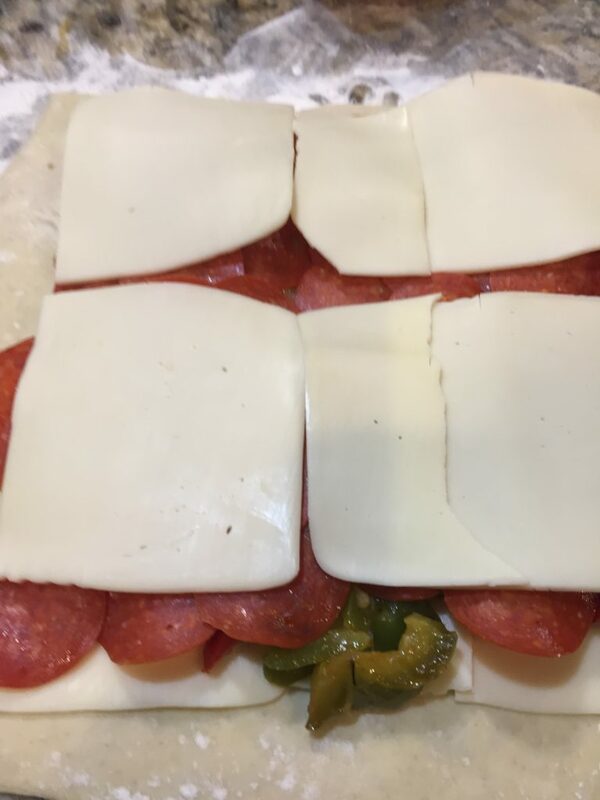 Cover with another layer of cheese. Place the second sheet on top of the first, line them up, and use a fork to crimp the edges. Use a sharp knife to cut a few vent holes in the top. In a cup or small bowl, beat the egg and water together. 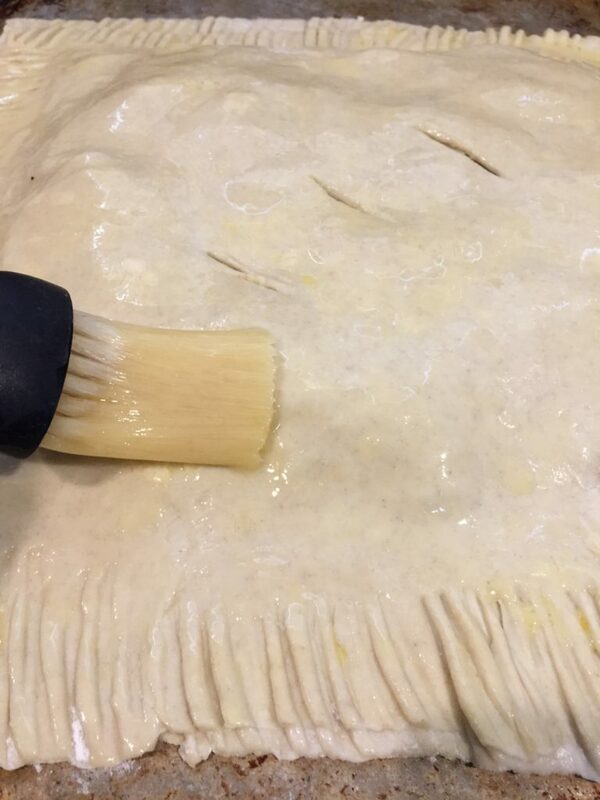 Use a pastry brush to brush this mixture all over the top pastry sheet. Transfer the pizza to the prepared cookie sheet and place in the oven. Bake for 20 minutes – or until golden brown. Well Duh #1: You can customize your pizza. Add cooked bacon, sausage, or ham. Add ALL the cheese you can find. Use Philly cheesesteak filling. Ham and pineapple? Whatever floats your boat! Well Duh #2: If your edges wont seal when your crimp them, brush a little of your egg wash in between the layers. Seriously. It’s the glue of the cooking world! Well Duh #3: I made two of these, unsure of how much it would take to satisfy my tribe. They only needed one, so I sliced the second one and stored it in the refrigerator in a sealed container. They were great the next day heated up in the microwave! Well Duh #4: I served the slices with marinara (actually spaghetti sauce) for dipping. Well Duh #5: You can assemble one of these, wrap it in foil, and freeze it! When you’re ready to eat it, just remove it from the foil, place on the baking sheet, and bake until golden. This was a hit! Everybody loved it. We will definitely have it again! And everybody has already put in their orders for customization!